Welcome to my author page. I am currently a college student with a great interest in bettering my writing skill, which is why I'm getting a minor in creative writing. I've written a few SCPs so far, and I'm so happy to be among the great writers of this site. I am always looking to improve my skill, so please give feedback on any and all of my works here! I am always open to being messaged any questions, comments, or just casual conversation topics, so please, feel free to smash that "Write Private Message" button. I'm currently transitioning so if any trans writers on the SCP Foundation just have questions about the process, or if anyone wants to include trans characters and wants a consultant on accurate portrayals, I'm more than happy to discuss those topics too. I'm happy to be here on this website. Thank you all for giving me a proper creative outlet where I can actually feel like people are enjoying my works. The following are categorized by order of discovery. SCP-3778 "We Are Possum. We Are Legion." Authorial Commentary: Anomalous grapes that make opossums gain sapience. 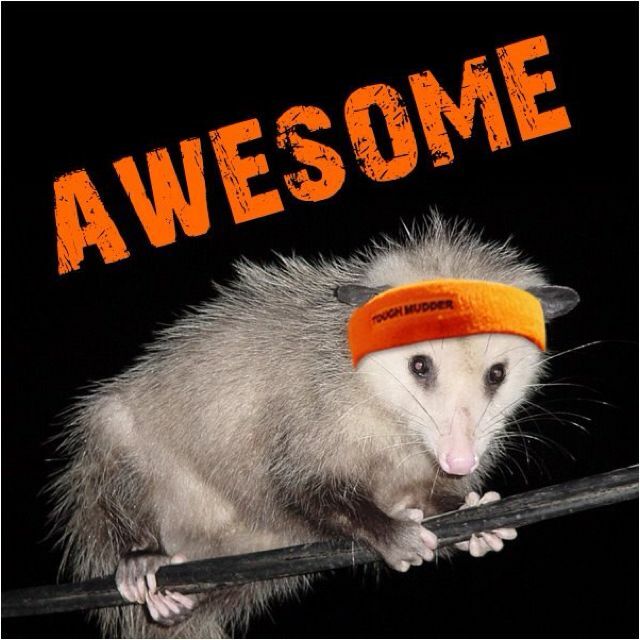 My favorite animals are opossums so I figured that'd be a lovely thing to write about. This was my first article that actually managed to stay on the mainsite (and my third ever written) so I feel rather proud of this one. Authorial Commentary: Quite possibly the best article I have written or will write for the Foundation. A parallel, more successful version of the Foundation that is used by the OTL Foundation for advice. Has the highest rating of all my articles. Authorial Commentary: An anomalous radio source from 144 light years away seems to be transmitting photos of places about to experience disaster. I got the name and idea from a Death Grips song. SCP-4250 "Colorful Pens With Thematic Ends"
Authorial Commentary: Pens designed by an AWCY member that have compulsory writing effects, with different colors corresponding to different themes. The first one I've written since I moved to college. Was inspired by a book I read when I was a kid. SCP-4204 "Bong Time Machine by dado"
Authorial Commentary: A bong that will send you back to the Summer of Love when you hit it. I wish I could say that I had inspiration for this, but I don't know where I got it. It just popped into my head. Still, it was really fun to write. Most recent. More works are expected to follow. Foundation assets are recommended to continue watching for increases in POI-78559's writing proficiency, and to view any new works written. Upvotes encouraged, only if such works merit them.